Connections is adding dental care to its array of addiction, healthcare and employment support programs. The nonprofit unveiled its new, fully-equipped mobile dental clinic during a ribbon-cutting ceremony in Wilmington. The 38-foot, streamlined vehicle is fully equipped inside to provide comprehensive dental care, including cleanings, digital X-rays, fillings, root canals, extractions and dentures. The clinic has two treatment rooms and will be staffed full-time by a dentist and hygienist. 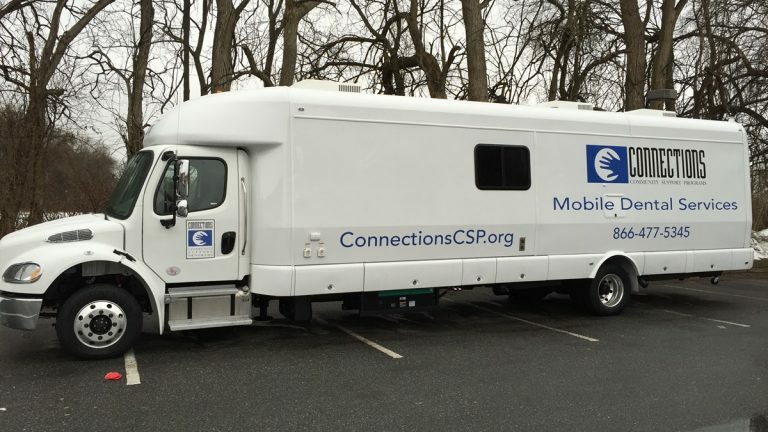 Cathy Devaney McKay, president, founder and CEO of Connections, said the mobile dental clinic is another example of how Connections is providing assistance to Delaware’s neediest residents. “The mobile clinic will help fill a void in Delaware’s medical safety net by bringing critical dental care to so many people,” she said. The clinic is projected to increase access to dental care for 1,500 patients held at work-release and probation violation centers run by Delaware’s Department of Correction, where Connections is the medical provider. The clinic will also provide increased access to treatment for thousands of people without dental insurance who receive services from Connections’ other locations statewide. Barclays Bank Delaware provided a $310,000 low-interest loan to Connections for the clinic-on-wheels. “We applaud Barclays for stepping up and helping finance an endeavor identified in our recent strategic plan,” McKay said. Clinton Walker, managing director at Barclays, said the bank is pleased to finance the worthy project. Walker served as chairman on Connections’ board. The current chair is Barclays’ general counsel Lawrence Drexler. The treatment program allows pregnant women struggling with addiction, and in trouble with the law, to get clean and serve their time in a nurturing, home-like environment. Instead of giving birth behind bars and being separated from their babies, mother and baby can stay together. This week, Delaware Governor Jack Markell visited the group home in Newark where the women stay. Chris Devaney with Connections cited research showing how detrimental it is for babies to be separated from their mothers at birth. 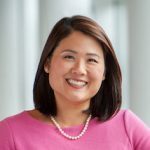 “There’s been some double-blind studies that have been done about children who have been separated from their mothers while their mothers have been incarcerated, and the percentage that that child ends up in the justice system grows exponentially from a child who stays with their mother through the first 3-6 months of their life,” Devaney said. While in the program, the pregnant offenders attend group counseling, parenting classes and nutrition or budgeting electives. The goal is to not only give babies a better start at life, but also to incentivize the mothers to stay clean now that they have their children with them. Since it started, Devaney said six women have successfully completed the program and are now living in the community. There are currently 10 women enrolled in the program. When the program first began, the state secured three years of funding to keep New Expectations going.